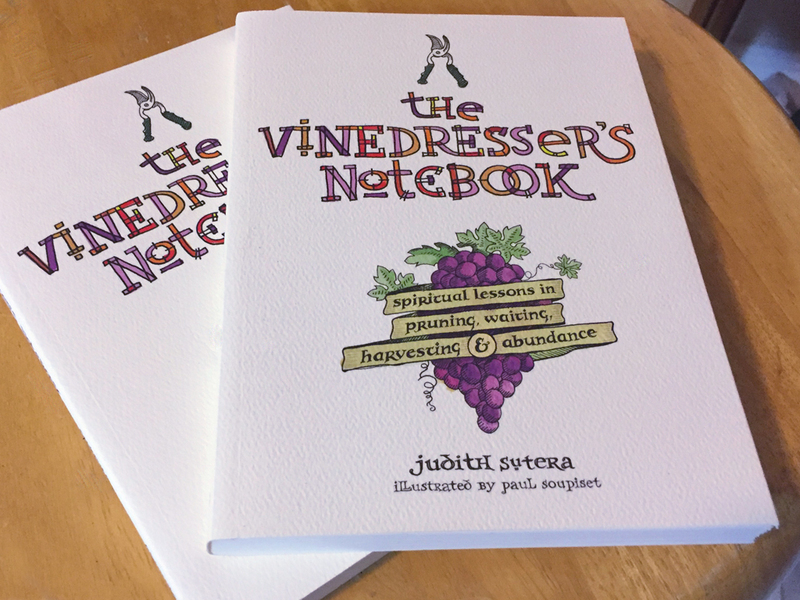 In the fall of 2013 had the distinct privilege of illustrating and designing The Vinedresser’s Notebook, by Judith Sutera, a Benedictine Sister of Mount St. Scholastica in Atchison, Kansas. It was a freelance project, and at the time I was busy as a creative director of a design firm in San Antonio. I got the assignment — from Mary Johannes, who would serve as my editor at Abingdon Press — while I was driving out of town on vacation to Colorado with my family. She had seen my livesketching work at a Phyllis Tickle conference in Memphis, and had been looking for a book for me to illustrate. The only catch: they needed cover concepts within a week, though the balance of the work, including many interior sketches, could wait until later that fall. I said yes, and as I drove north, I started working out the concept in my mind, long before I could stop and sketch them out. 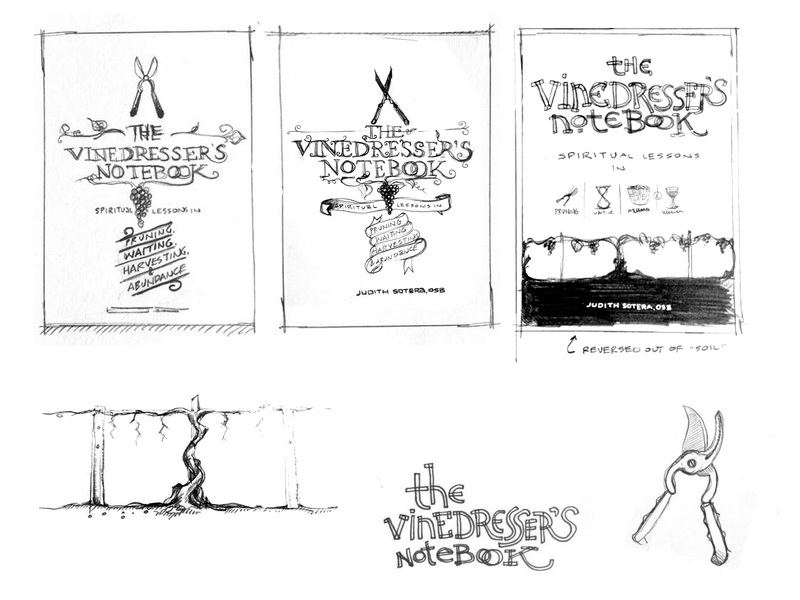 A few days later, the cover ideas were sketched onto typing paper I bough in town, and with a borrowed pencil, there in the small wood cabin in the Rocky Mountain National Park in Estes Park, while relaxing with my parents, wife, and children.